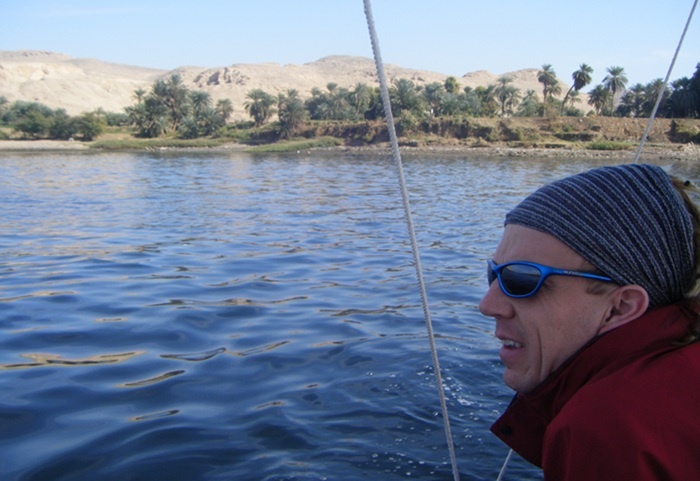 Me looking out from the felucca as we gently sailed down the Nile. There was a small amount of green life on either bank but then the desert resumed. It was pretty chilly until after midday!